We like good holidays. What is important to us, is the location and the property itself. As this cottage is our holiday home that we use, you can rest assured that it will be clean, tastefully decorated and furnished, and have everything you need to have a relaxing and enjoyable holiday. 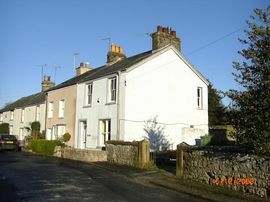 Our cottage is one of the few cottages actually in Cartmel village itself, that is available as a holiday let as oppossed to many, that are outside the village or in a neighbouring village. 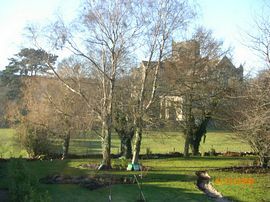 To the front it has open views towards The Priory. It's in the centre of Cartmel, close to four pubs, L'enclume Michelin restaurant and Catrmel race course. It's only a couple of miles from Grange-Over-Sands railway station, which is on the mainline from Manchester, Bolton and Preston (handy if you do need to go to that important meeting while the rest of the family are in Cartmel). Located in the South of the Lake District, therefore it is quick to get there rather than more difficult areas to reach in the Lake District due to traffic at peak times. It's really practical for you to get there by train, and only a short taxi ride or bus from Grange. Leave the car at home! The post code for sat nav is LA11 6PP. Take the A590 towards Kendal. Turn off that road after a few miles (its still the A590) signposted to Barrow and Newby Bridge. After a few miles you'll see a sign post on the left to Cartmel. Follow the directions into the village. Turn right at the Spar shop and then take the first right after a few yards onto Barn Garth. The cottage is a hundred metres or so on the right. You can park outside the cottage. There is a regular direct train service from Manchester Airport via Manchester, Bolton, Chorley, Preston and Lancaster. Many national routes change at either Preston or Manchester from the South, East or Wales or Lancaster from the North. The nearest railway station is Grange-Over-Sands which is only two miles away. Taxis are available in Grange or there is a regular bus service to Cartmel from Cark and Grange on the 532 Stagecoach bus service. Prices range from £250.00 to £600.00 per week.